Suburbia’s A and B Teams played Mass Attack Roller Derby’s A and B Teams on April 29 in Fairhaven, MA. Couldn’t make it? We’ve got your recap right here. 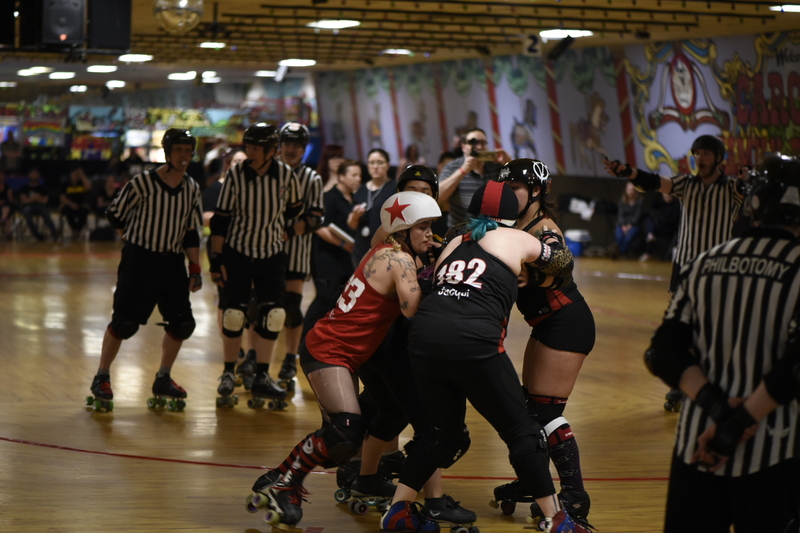 MARD took the lead immediately, earning lead jammer in the first two jams and boosting their score. Brawl struggled to catch up, ending the half with 35 points to MARD’s 139. The second half started with some great walls and more lead jammers for Brawl, slowing the bleed at first, but SRD never managed to catch up. The bout ended 270 to 81, with a MARD victory. 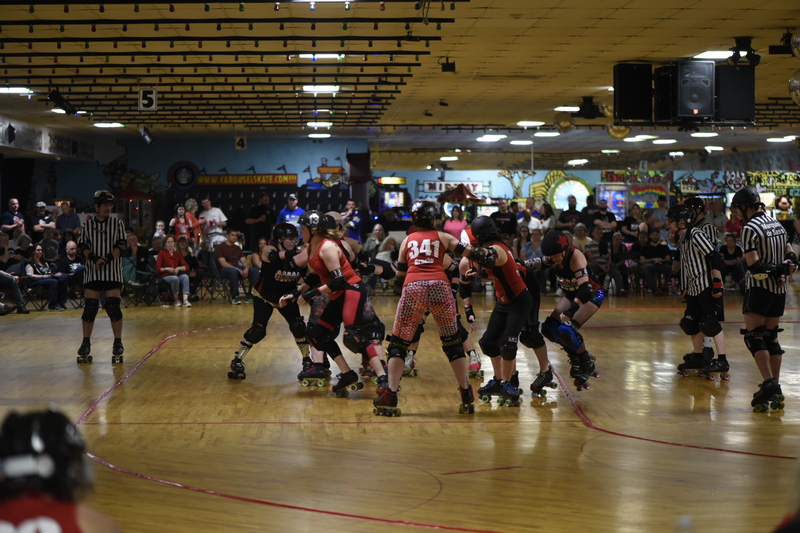 The Bullies and the Bordens fought hard to take a decent lead at the beginning of the bout, with the Bordens eventually pulling ahead. The half ended 114 to 48, with the Bordens in the lead. 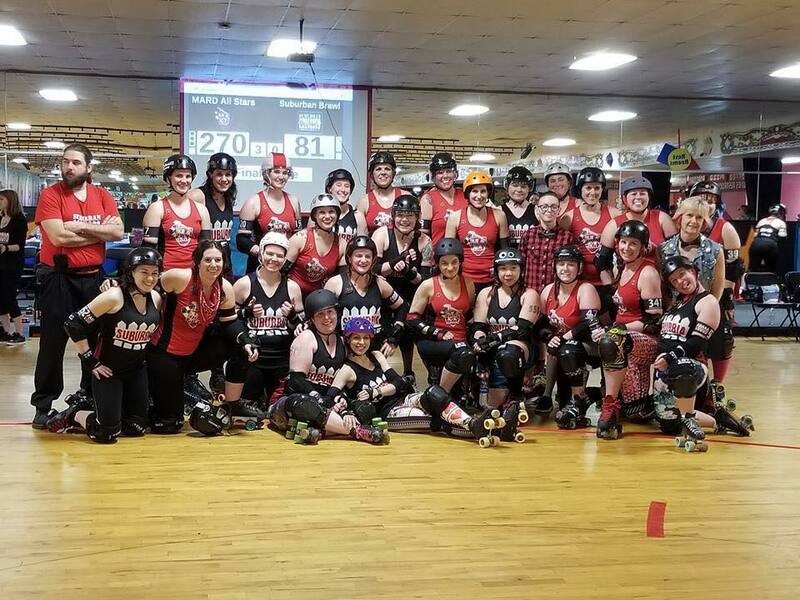 Half of the Bullies roster consisted of new league members skating in their first bout, but they played like champs, making the Bordens work for every point. The final score was Bordens 178, Bullies 115.